Recently we purchased a new Windows Phone Nokia and our first task is to move all our Android Contacts to new Windows Phone. So today we are here sharing some tips which allow you to move your old Android Contacts or Google contacts to your new Windows phone. To do this all you need Google account, to sync all your old contacts to Google and after that import them into your new Windows Phone. 1. Make sure that you have Gmail installed on your device. And using you Google account to you android device. 2. Now go to Android “Settings” page and click the accounts option. 3. Select your Gmail account from Google Accounts setting page. 4. Make sure that you’ve enabled ‘Sync Contacts’ option. And Press ‘Sync now’ button to sync all your contacts with Google account. Wait for some time until all the phone contacts have been successfully synchronized with your Gmail account. 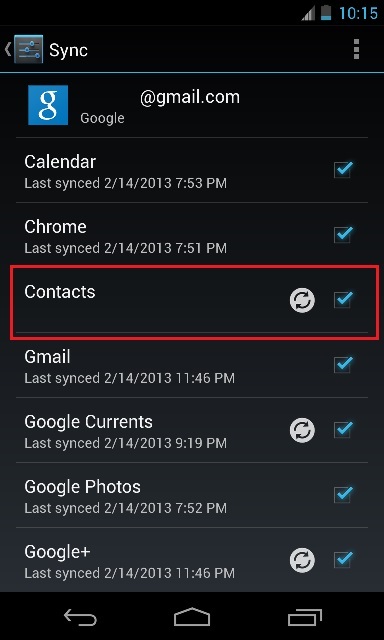 After the process is completer all you android contacts are synced with your Google Account. 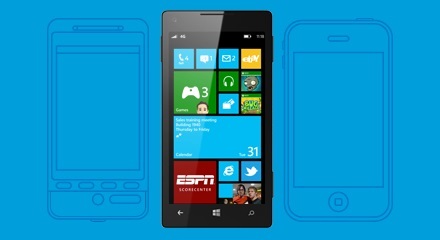 So now it time to Move All your Google Contacts to your new Windows Phone. 1. In the App list, tap Settings > Email + accounts. 2. 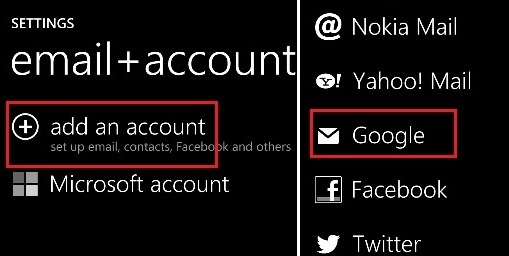 Tap Add an account and Tan Google to setup your Goolge Account on Windows phone 8. 3. Now Sign in with your Google account and password, When the sign in process is complete, you will be asked for the type of content you want to sync to the phone. Select Email, contacts and calendar option to make sure your contacts get imported to your Windows 8 phone. When the synchronization completes, all your Google contacts are saved on your new Windows Phone 8. Now you can see all your contacts on your Windows phone.